"I think it’s funny that this method is called the “No Waste” method because it uses the exact same pieces as the Traditional Method. 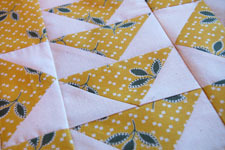 In fact, all three methods of making Flying Geese blocks do not “waste” any fabric. Nevertheless, it is a clever method. "I do have to admit that this is my least favorite method. 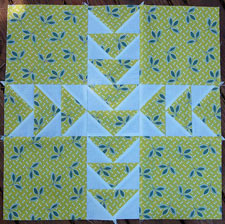 I really like chain-piecing when it comes to making the same thing over and over. I like it because my hands can be doing one thing while my mind is off thinking about something else. 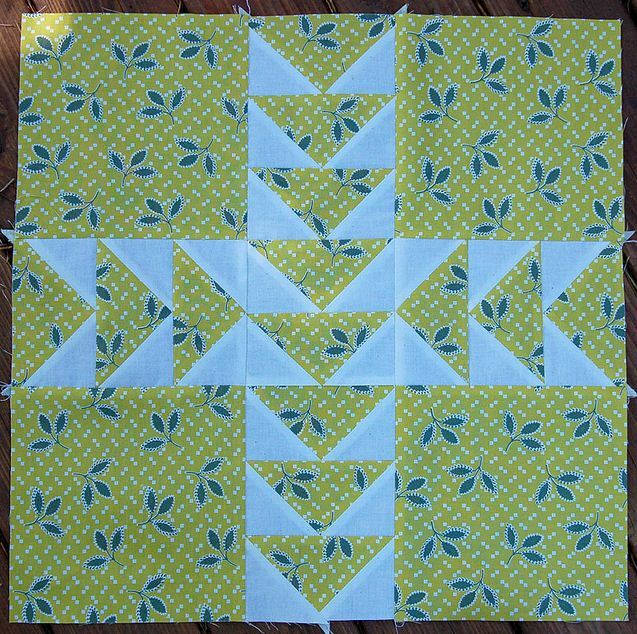 It’s therapeutic for me to sit and sew while my mind wanders off to another place. This method doesn’t allow for that wandering. There is a lot of stand up & cut, sit down & sew, then stand up and cut & press, then sit down & sew. If it’s exercise you are looking for… then this method is for you!"